VidCon is an annual conference for digital video founded in 2010 by Hank Green. It meets each summer in Anaheim and features top digital creators, primarily from YouTube. It functions both as an industry gathering and a massive fan event, and has also bridge the area in between for budding creators looking to learn from their idols. This seems like a huge mess. The YouTube-centric conference is getting a serious makeover. The dust-up sparked a war of words online. YouTube CEO Susan Wojcicki revealed a big number Thursday at VidCon. The 'Fault in Our Stars' author has a new book that involves 'Star Wars' fan fiction. After making VidCon the biggest digital video convention on Earth, YouTube luminary Hank Green is doing it again. A friend of the gay YouTuber says the attackers used to social media to locate him. Building trust in the age of a million apps. 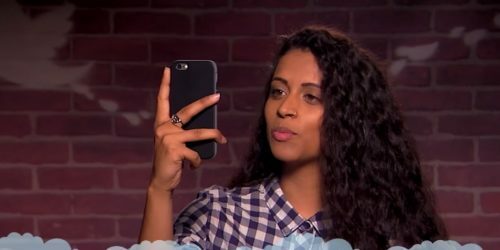 From livestreaming to brands to increased security, VidCon felt different in 2016. The actor, director, producer, and YouTuber on her ongoing balancing act. To be fair, it probably pales compared to what they get on a daily basis. The app attracts billions of views per day. YouTube brings its established livestreaming product to mobile.